Majura Parkway has brought Costco, IKEA and bulky goods shops to within 45 minutes of Goulburn. The giant multinationals’ business model is to draw customers from the region as well as Canberra. But instead of being a threat to surrounding retailers, this can be turned into an opportunity for Goulburn, says Warwick Bennett. Mr Bennett, Goulburn Mulwaree Council’s general manager, is overseeing a dramatic makeover for the heritage city’s central business district. The aim is for a more attractive and entertaining centre for people to supplement their big box shopping with a trip into Goulburn. “[Majura Park] is becoming a major retail centre for Goulburnians,” Mr Bennett says. The council chief believes there is an opportunity to supplement that shopping experience back in Goulburn. “We just need to work with the community to make sure that happens,” he says. Herringbone-patterned brick and pale aggregate paving, crepe myrtle and pear trees, planter boxes and street furniture are replacing dreary bitumen footpaths in Goulburn’s main street. Mr Bennett wants trees lining the street and along the median strip, parallel parking to replace angle parking and more shop-top residential accommodation. “Over the next two years we want to develop a more robust CBD plan, make things happen more easily than what they currently do,” he says. Mayor Bob Kirk, Mr Bennett and the council are working with the Chamber of Commerce and prominent business people to reinvigorate their shopping centre. Leading Goulburn real estate agent Angella Storrier is taking up the switch to greenery, inspired after a trip to Boston for her high school reunion. “Everywhere I went there were flowers,” Mrs Storrier says. Her day begins watering baskets of flowers to liven up her main street frontage. Across the road, Farmer Feld’s Fresh Produce, which once had a large produce stall at the Canberra Farmers Market, has opened the front of its fruit and veg shop with a cafe and outdoor seating. “The cafe showcases what we are selling inside, so people can taste it. Anything we make, you can make it yourself,” says Farmer Feld director Susan Feld. Mr Bennett wants restaurants and food outlets to bring their kitchen and processing activities to the front of their buildings for customers to see. “We can’t sit as a retail, a business, a council community or community per se and hope things will go right,” he says. Parking will change dramatically to create a more open, pedestrian-friendly precinct. “Parked cars don’t purchase things in shops. Pedestrians do,” says the general manager. He wants parallel instead of nose-in parking, and only for people who struggle to walk 70 or 80 metres: the disabled, the elderly, and maybe parents with prams. 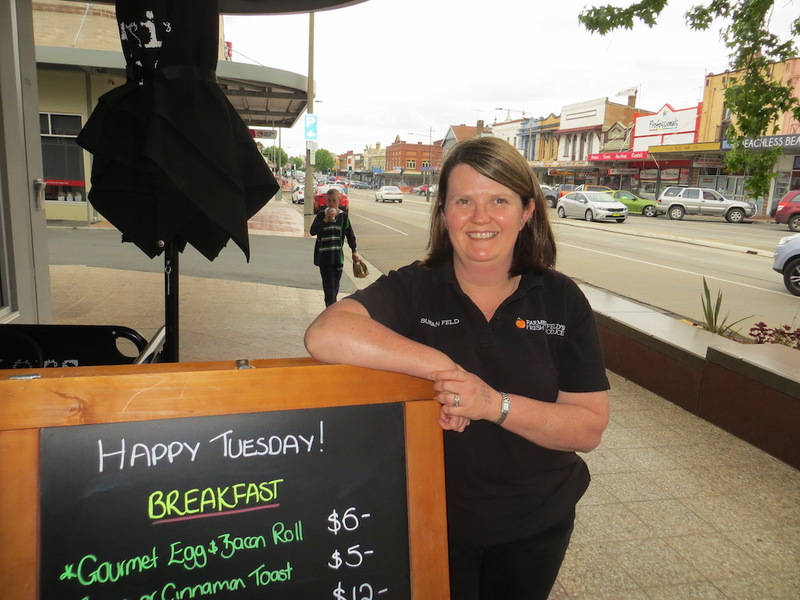 The Goulburn Group, a not-for-profit community group of civic-minded volunteers, is clear on reinvigorating the CBD. President Mhairi Fraser says assuming that preserving Goulburn’s built heritage drains the public purse is short-sighted, because visitors, shoppers and new residents are drawn to places with character. “Repurposing a heritage-rich CBD is like kick starting the heart of a community,” Ms Fraser said. Mr Bennett says the council’s major overhaul, which includes turning the former council chambers into a $12 million performing arts centre, will not saddle the town with higher rates or debt. The 1883 building’s original timber ceiling, new reception, bar and cafe will complement a 420-seat theatre, bar and cafe. “We have $98 million in the bank,” Mr Bennett says. 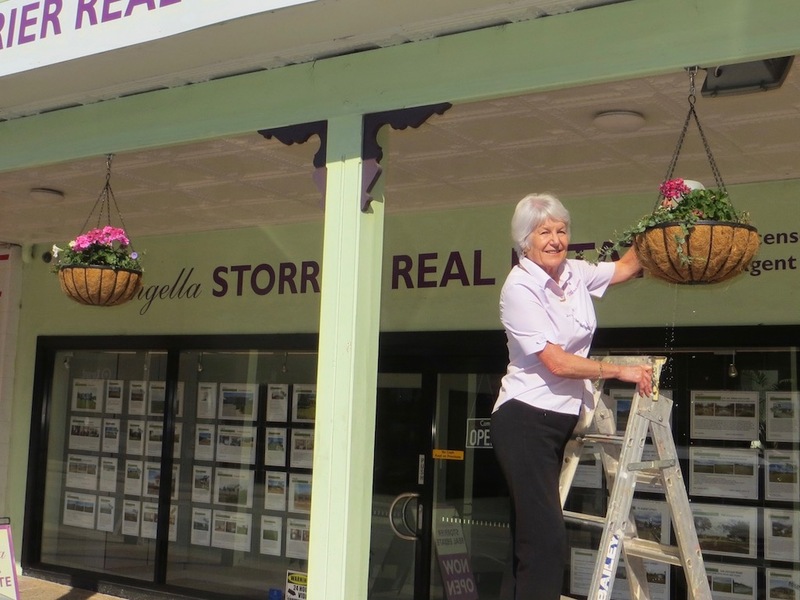 Pictured at top, Angella Storrier tends to her flowers. Above, Susan Feld welcomes customers. Photos: John Thistleton. Hey, that’s faster than getting from Gungahlin to Costco and IKEA. Good article, my mum and stepdad moved across the border to Goulburn a few years back, and they love the place, and the changes happening around them as you allude to. Small nitpick: 45 min drive to IKEA from Goulburn? Ok, if you are doing over the speed limit the whole way then yes. Having parents in Goulburn, and having worked for last 2.5 years at Majura Park retail shop, I have driven both from home at Woden > Goulburn, and from Majura Park > Goulburn, and the oppposite as well many times now. It is pretty much exactly 60-65 mins still from Majura Park at the max speed limit the whole way with no stops. It is about 1hr 15-20mins from Woden, which is about the difference from Woden > Majura Park. I don’t know how you get 45mins unless you are speeding the entire way. Gentlemen; you are forgetting that these are real estate minutes, as in “only 5 minutes from Civic”. Yeah, I know but some people actually believe it like the ones that believe the tram will be faster that anything with rubber tyres. When the light rail flies past your car stuck in traffic and at a red light because the light rail has traffic light priority for one thing, you can believe whatever you want I guess, just don’t open your eyes or reality might hit you and make you realise you were wrong. If a piece of light rail flies past my car it will mean the tram behind me has just been derailed. Trams are limited to 70kph, most arterial roads in Canberra are at least 80 kph. I wonder if they upgrade the theatre to be able to have the major productions it would get some. Much easier than going to Sydney or Melbourne. It would also then provide cheapish rehearsal and Dress rehearsal space. Whack a large craft shop in Goulburn and you’d attract a lot of people. Did you see the word “most”? What about Adelaide Avenue, Flemington Road? In order for the tram to get anywhere near current bus times it will have to have unimpeded rights of way along Northbourne Avenue. In real terms, the only way this can work is that there will be no right turns allowed for road vehicles going both ways on that part of the route. Can you imagine the congestion that is going to cause? Refreshingly intelligent city planning. Wish we could get some of it in car-toxic Canberra. I think we’ll visit Goulburn to see what it looks like now that it has imaginative civic leadership. The last time we were in Goulburn, it seemed pedestrians were a nuisance to be threatened by speeding motorists assuming absolute right of way. A good news story. Not many of them about. So I thought I’d contribute an encouraging and positive comment for the people of Goulburn. And what mode of transport will you use to achieve that, a toxic-car perhaps? Real Estate agents want to improve main street. What could go wrong? Goulburn is pleasant enough now the highway goes around and not through it. If anything there’s a ridiculous amount of traffic calming and inverted potholes there for the numbers. But I suppose they want to fiddle. Better than spending the $98M in the kitty on a sister city tour for councillors. ps Dungers, I know people who ride their pushies there from here on the weekend, on the Federal Hwy. Yes, I think they’re mad. A self-appointed expert on urban planning (probably from a university) will deem that Goulburn should have a tram which will “add value” to the newly discovered vibrancy. I have never seen the Lycra warriors on the Federal Highway but I must admit I would rather go to Goulburn via Bungendore, Tarago and Lake Bathurst although the ugly bird blenders now dominate the once pristine horizons whichever route you take. Do you want electric power? If so, would you rather have “bird blenders” or coal mines? If it’s coal mines, do you want them near you, or are you a NIMBY, but only on that issue? Err, tell me where the coal seams are around Canberra and I’ll give you an answer. 1st. 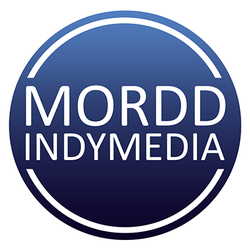 Hyperbole and a cheap shot, you can do better. 2nd. I have never failed to see at least 1 cyclist (usually 2-3) doing the Canberra Goulburn bike ride every single time I have driven there, day or night. You either don’t drive the route very often or don’t pay much attention when you do. Some days I have seen well over 50 cyclists doing that route on a single there or back trip. To misquote “The Girl In The Cafe”, “does it matter who’s backyard”? It’s somebody’s backyard & somebody has to breathe the black stuff. If you want the coal mine, then perhaps you should go live there. And, by the way, there is absolutely no evidence that birds are killed by wind generators in fact, many more are killed on the roads. Birds have evolved over tens of millions of years, to avoid very fast predators like falcons & eagles.